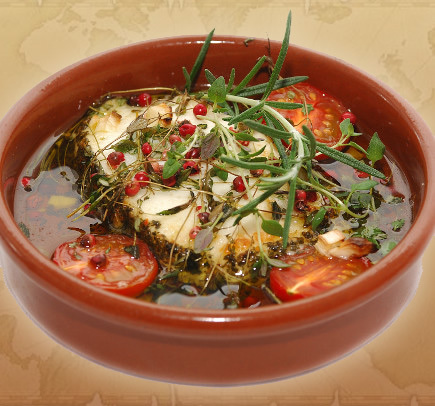 The word ‘tapas’ is synonymous with Spanish cuisine and every visitor to Spain wants to “go for Tapas”. In Dresden, you find them in our Restaurants. A ‘Tapa’ is a ‘lid’ or ‘cover’. In the early days of tapas, a slice of cheese or ham was given with your drink and placed over your drink to: keep the flies out, keep the bouquet of the wine and keep the wind from blowing your drink everywhere. Tapas are not a particular type of food. Tapas are not a starter. 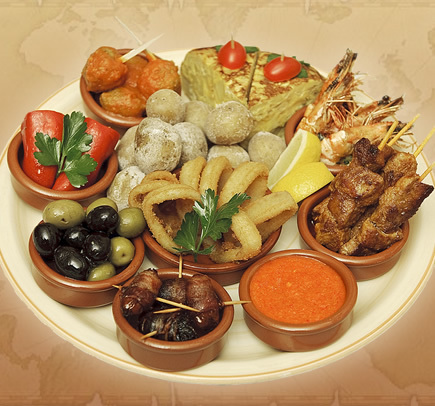 Tapas are not a collection of small dishes brought out on a platter and eaten as a main course. A “Tapa” is not a type of food, but a special way of eating it.